Handmade big pendant with nature elements and sun stone. 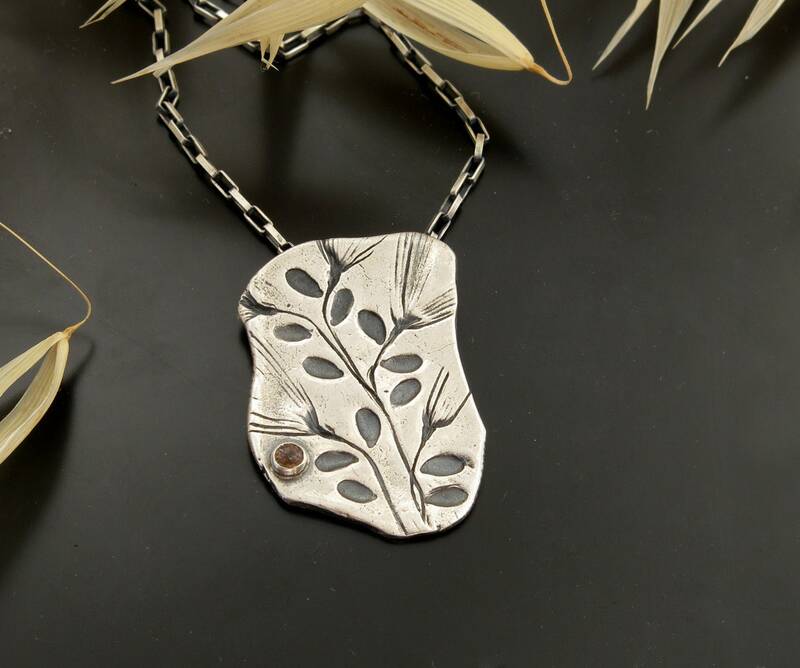 Original design of beautiful silver pendant with seeds and flowers steps and sun stone. Very powerful necklace, made with love and care. The forms are asymmetrical just like the nature loves to make, all elements are come together in a special composition. The stone of sun is comletes the composition and gives the meaning to this piece of art pendant. The length of the chain- you choose, write in notes the length in cm. *** The order will normally be ready in 3-10 business days.